Episode 20 is here and it is finally time for the new rangers! The 6th & extra rangers are always a favorite of mine and something I look forward to every season. 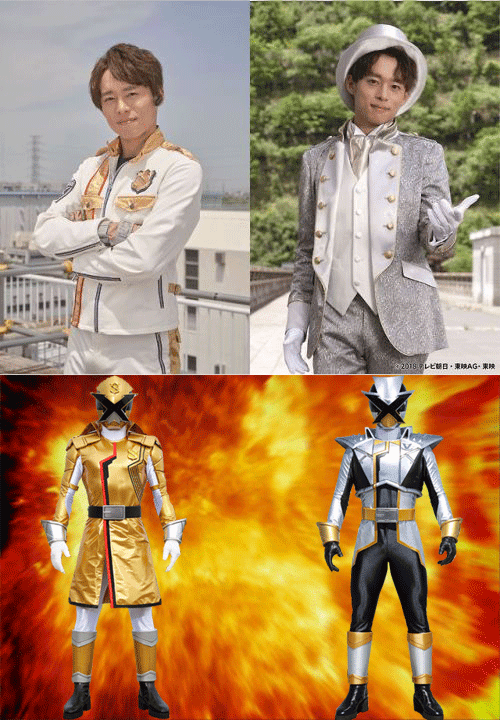 This is the first time that one character will be two different rangers at the same time. A two timer perhaps? Or maybe an undercover ranger? 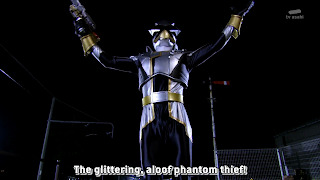 Either way, Gold & Silver are now here so click "read more" and we'll find out how he can be in two rival teams at once. This episode opens up with a sneak peak of our new ranger in a cloak. He is bidding farewell to Paris and is about to take off to Japan in what I can only assumed to be his VS Vehicle. I like this. The Global Polices' French branch has been mentioned many times. Cut to intro less than 40 seconds in. Must be a lot of story to tell. Following the intro, it brings us to a new Gangler named Zarudan who is holding some guys daughter up for ransom. The father brings a suitcase full of money to exchange for her freedom. This is the first time we've seen the Ganglers doing anything gangster related. This ransom doesn't go well for the father and daughter as the Gangler decides to kill them both rather than hold up his end of the bargain. Just like every other time this has happened. But, that is interrupted as the train tracks they were conveniently doing this on has that silver VS vehicle arrive and runs the Portermen over. 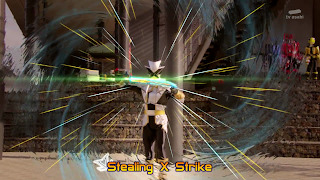 Our cloaked friend emerges from it, revealing his own VS Changer and himself as Lupin X. Anyone else start looking for this toy? Zarudan charges him but his attacks literally bounce off. Lupin X steals his collection piece before he can use it. He reveals a second safe that has the power to smokescreen allowing him to escape and Lupin X saves the girl looking really heroic. Wow, this guy is tough. She takes a selfie with him which ends up in the newspaper. The 6th rangers typically have a pattern they follow. 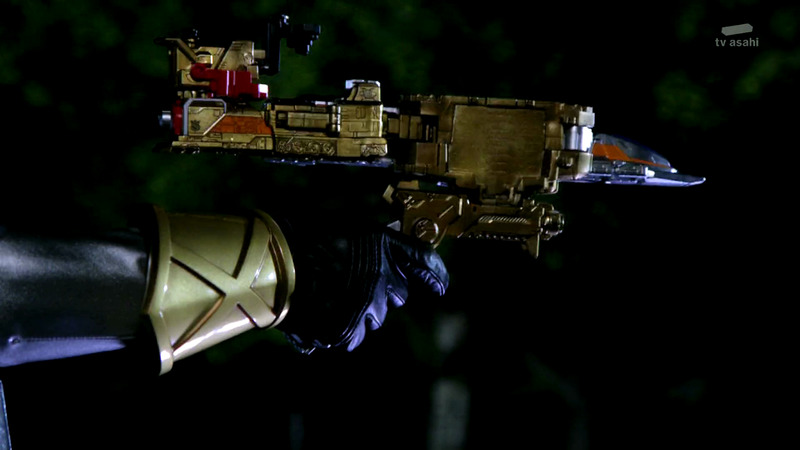 They are introduced looking much more powerful than the other rangers and slowly become on equal level with them. 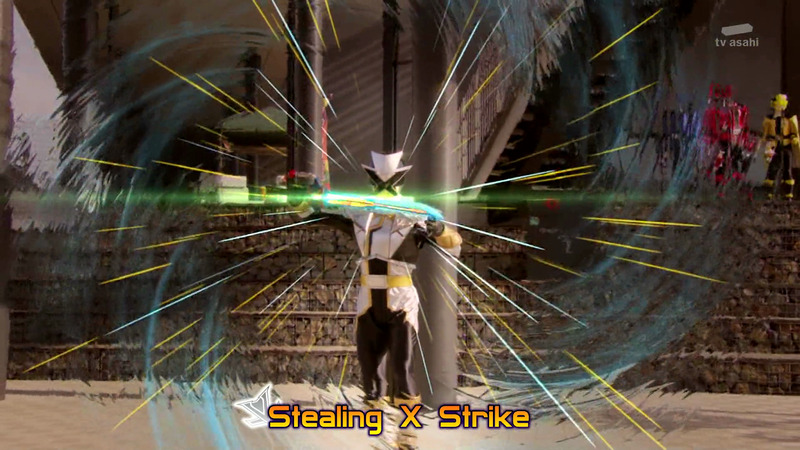 Shockingly, this is the first time I've seen a non-super form ranger take literally no damage from a monster attack. Both Kairi and Keiichiro react in shock to the new Phantom Thief in the paper. Keiichiro rushes off concerned about the Gangler who escaped and after he leaves, Lupin X reveals himself to Kairi unmorphed. 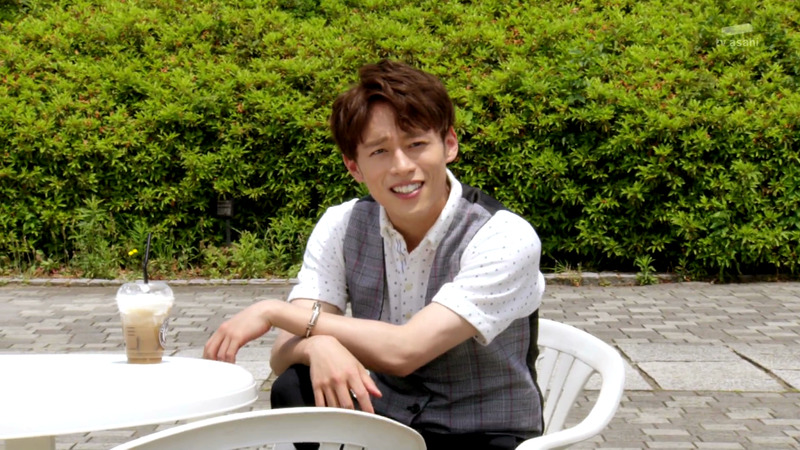 He tells Kairi he is Lupin X but he gives a doubtful look. He proves his case by doing a series of flips to both Kairi and a crowd of people that he is Lupin X and also revealing he snatched everyone's cellphone while flipping. Out of all the ways I thought this character would be played, never did I imagine they would pull something where he is too skilled and doesn't care if people know his identity. He is planning something for sure. "I"ve always wanted to meet you LupinRed-kun. I'll give you a lovely present next time. -Phantom Thief Lupin X". Are you afraid of this guy yet? 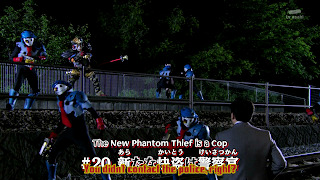 Fearing for their identity being revealed to the police, Tooma suggests they commit a jail break. Somehow I doubt he needs the help. In the interrogation room, Lupin X identifies himself as Noël Takao. This guy is going to be tricky to color code. He is clearly not afraid of them and says he is going to build a loving friendship with them which they interpret as mocking. Just before things get ugly, Hilltop enters and informs them he is a cop from French HQ. Wait, so he is an undercover cop? 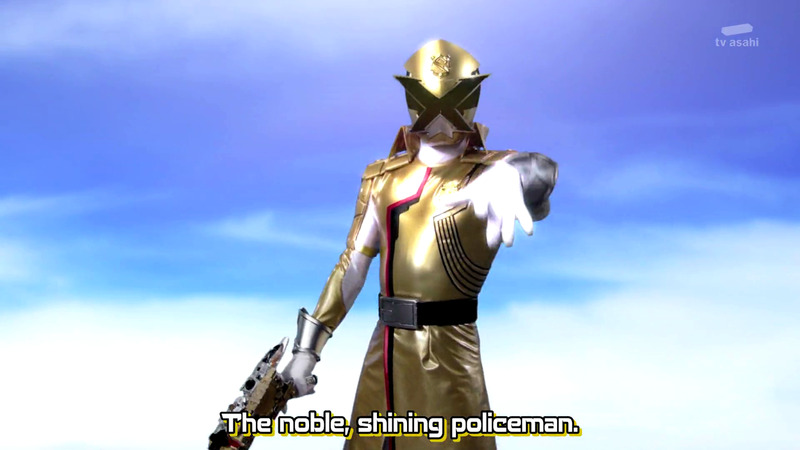 But, he doesn't give away the other Lupinrangers. So is he a neutral party? Color me intrigued. Things get even crazier. Noël Takao is not only an undercover cop, but was the one who was researching the Lupin Collection and had modified them to be usable for the Patrangers. I think I have a new favorite ranger. 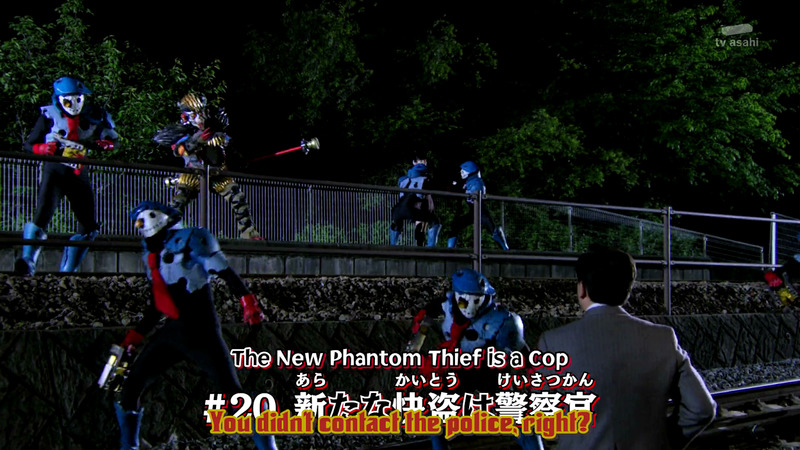 It is implied he did the same for the Lupinrangers. Before he can reveal why he became a Phantom Thief, Jim's alarm goes off because of a Gangler rampage. So, they deploy where the Lupinrangers see them and follow. Why does it feel like he planned that timing? Humiliated by the main villains for his embarrassing defeat, Zarudan is back and looking for revenge. Noël Takao takes the lead and goes solo on this one. 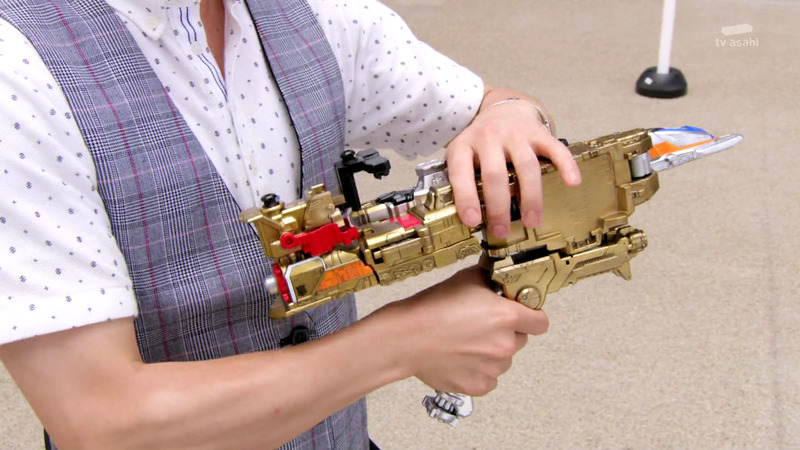 He simply turns his VS changer around which allows another henshin. Now, he is gold and PatRan X. Both teams are shocked again. PatRan X is having no difficulty at all in this fight where he easily knocks off Portermen and hurts the Gangler. The Lupinrangers attempt to steal Zarudan's treasure but the safe is empty when PatRan X tells them that he has another on the back. As a reminder, having two safes means he is higher rank than typical Gangler so he should be pretty tough. He also promises Kairi that he won't reveal their identity. 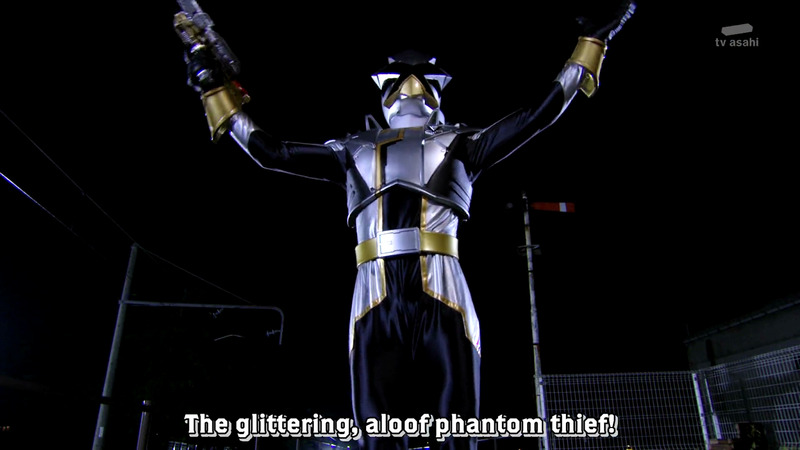 When asked why, he simply says because he is also a phantom thief and switches to Lupin X by turning his changer around again. 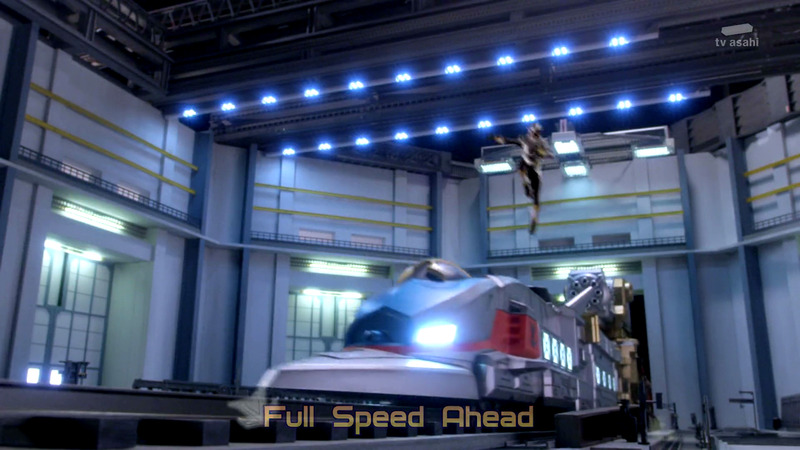 I'm getting some Gokai Change flashbacks here. 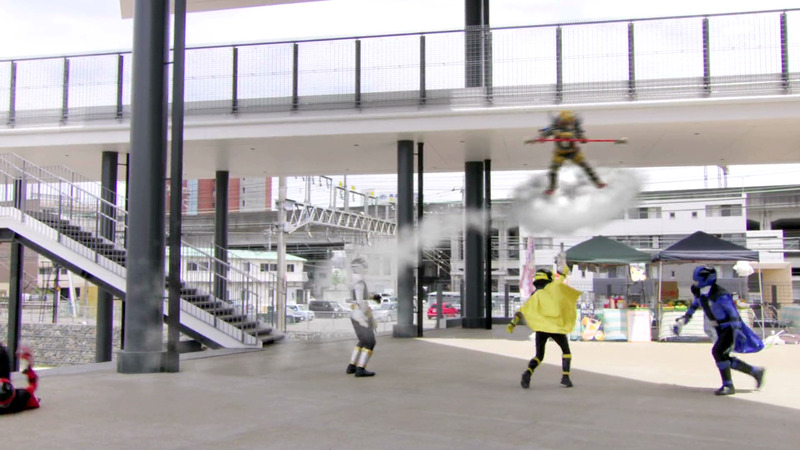 Upon seeing this, Zarudan gets really angry and reveals his other collection power of controlling clouds. He can ride on a cloud while attacking with his red staff. The Gangler attacks with electric blasts which knocks everyone down except Lupin X who still is not taking any damage from his attacks. Lupin X knocks him out of the air and proceeds to dodge and deflect all of Zarudan's attacks. He pins Zarudan against a pole, and steals his collection item with ease. Lupin X seriously may have Ultra Instinct here. With the collection in hand, all that is left is the new finisher Noël Takao brings to the table as Lupin X. A double slash and a large X shaped explosion later, this Gangler is finished. Now, it occurs to the Patrangers that he uses Lupinrangers power to confiscate collection pieces. Why can't PatRan X use that safe hacking device? Don't ruin this near perfect episode with a plot hole! The main villains are very impressed with Noël Takao's skills which leads to the giant battle so they can see more of it. Since when do they need a reason to make their monster grow? 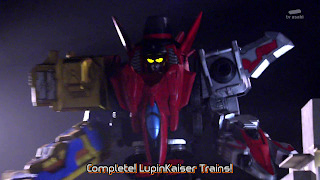 Lupin X summons his X train silver and goes on the offensive running Zarudan over. 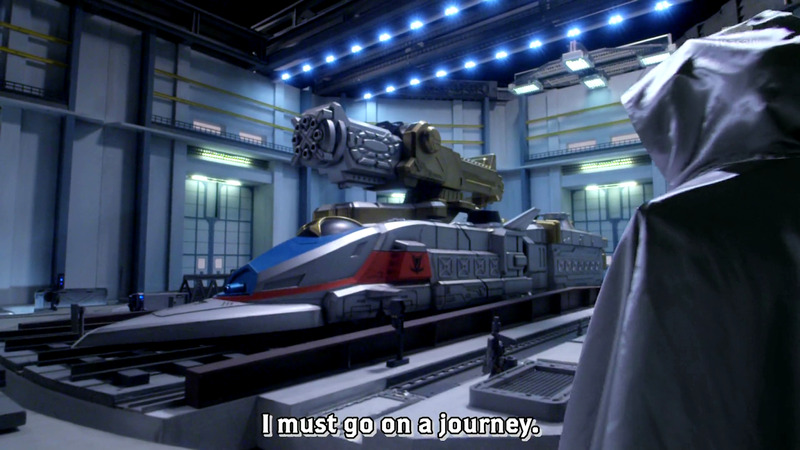 His train puts all of ToQger to shame. Looks like gold mode is on the other side. 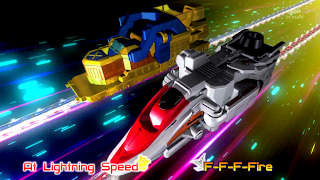 The Lupinrangers join in and Goodstriker appears at the same time. Turns out, Noël Takao and Goodstriker are old friends. Talk about effectively keeping his allegiance secret. He switches to PatRan X and splits his gold and silver train apart. Seems he automatically changes whenever he switches sides of his train. He gives the Lupinrangers two new VS Vehicles and it is pretty obvious where this is leading. 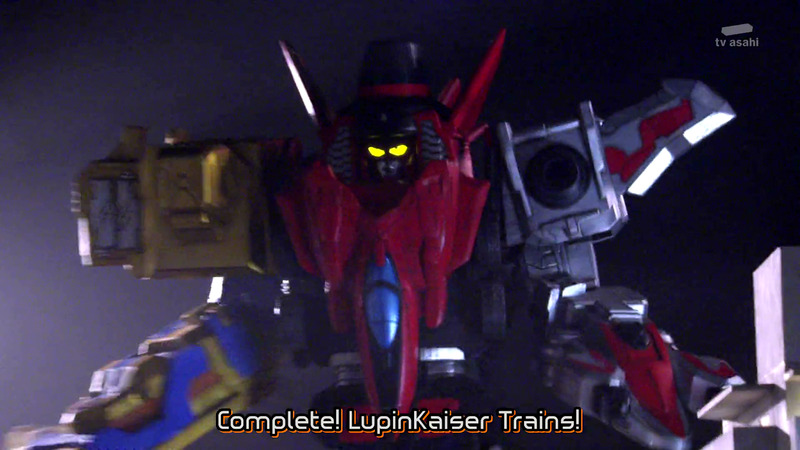 Between this new form and the X train, Zarudan is completely overpowered and must say "adieu to his life" as Lupin X puts it. He takes his Thunder and Fire back and takes off leaving both teams confused about whose side he is on. 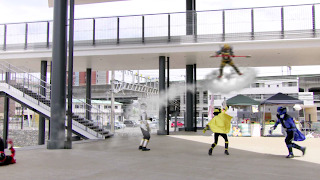 The final scene shows the Lupinrangers trying to get information out of Goodstriker as they carry him back to their bistro. It has got to be weird for that actor to talk to a toy. Upon arriving, they find Noël Takao there waiting for them. Cliffhanger ending.